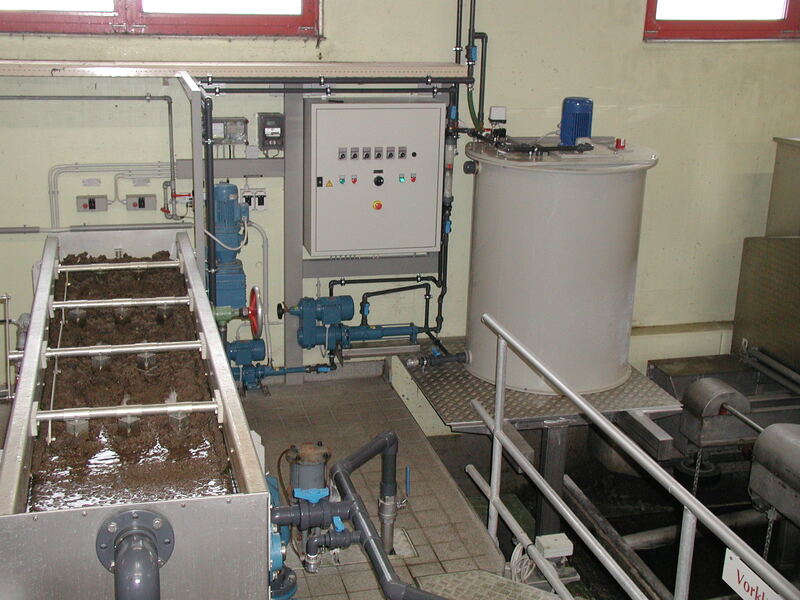 The purpose of the process is to thicken the sludge of various origins assuming that the compacted medium remains pumpable leaving the thickener and that the compaction ranges from 5 to 10% of dry matter. 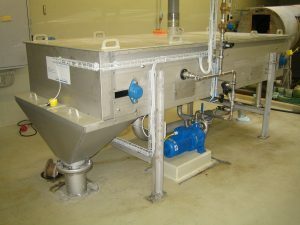 FILTECH Drain FDW is built and manufactured in Switzerland. FILTECH Drain FDW Thickeners are available in three filter belt widths: 0.65 m; 1.1 m; 1,6 m. Information about the performance of individual thickeners is available in the PDF file. 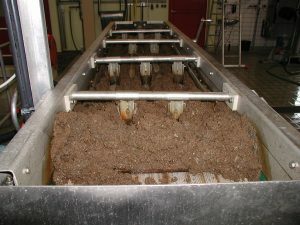 Sewage sludge (0.2-3.0% of dry matter) reacts intensively with flocculant in a static mixer, after a short time the solids are separated from the water. 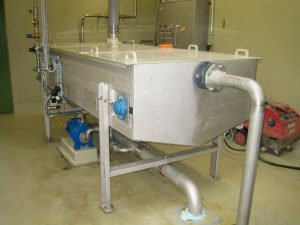 The separated slurry is directed to the slowly moving filter baffle. 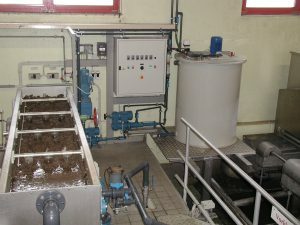 The force of gravity causes the water to separate from the solids in the slurry. Formed and compacted filter cake leaving the thickener is guided by a screw pump for the further processing. The purpose of the process is to thicken sludge of different origins assuming that the compacted medium remains pumpable leaving the thickener and that the compaction ranges from 5 to 10% of dry matter.